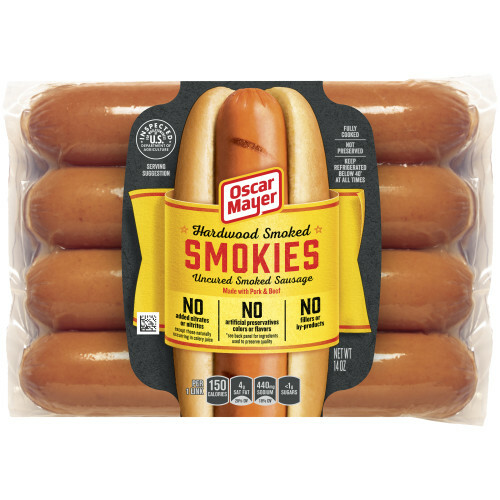 Oscar Mayer Smokies are hardwood smoked and made with all the great taste and quality you crave. 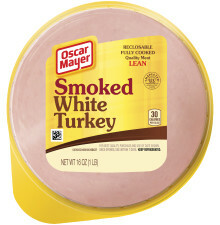 Made with no added nitrates or nitrites, no artificial preservatives, and no by-products so you can enjoy the great taste and quality you expect, with no guilt. 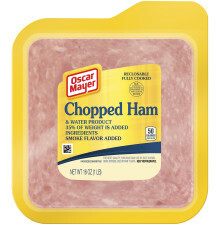 PORK, WATER, BEEF, CORN SYRUP, CULTURED DEXTROSE*, CONTAINS LESS THAN 2% OF SALT, GROUND MUSTARD SEED, CULTURED CELERY JUICE*, DISTILLED WHITE VINEGAR*, SODIUM PHOSPHATE, FLAVOR, MONOSODIUM GLUTAMATE, CHERRY POWDER, DEXTROSE, SOY LECITHIN. 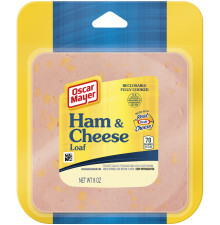 *INGREDIENTS USED TO PRESERVE QUALITY.